Looking over the morning computer model data, there appears to be a dual-threat for strong storms in the next 24 hours. While neither is particularly impressive, I feel the more likely threat of strong to severe storms comes with the second. While models still have some significant discrepancies, that is why you have MWN! The first window of opportunity is somewhat of a broad brush and covers the early morning hours Wednesday, or roughly from 2-8am. The main threats during this time frame will be hail and possibly some high wind gusts in the strongest storms. We expect the strongest storms, and better chance of severe weather, to be to the north and west of the metro, or over northern AR and northwest TN. The second chance for severe weather is ahead of and along the actual cold front, which now appears to move through the metro around mid-afternoon. Thus, we'll put this "window" at 11am-4pm. *IF* the morning convection can lull for a few hours (or longer) before the front approaches, I actually feel like the chance of damaging wind or hail could be a little higher with a squall line during the afternoon hours. 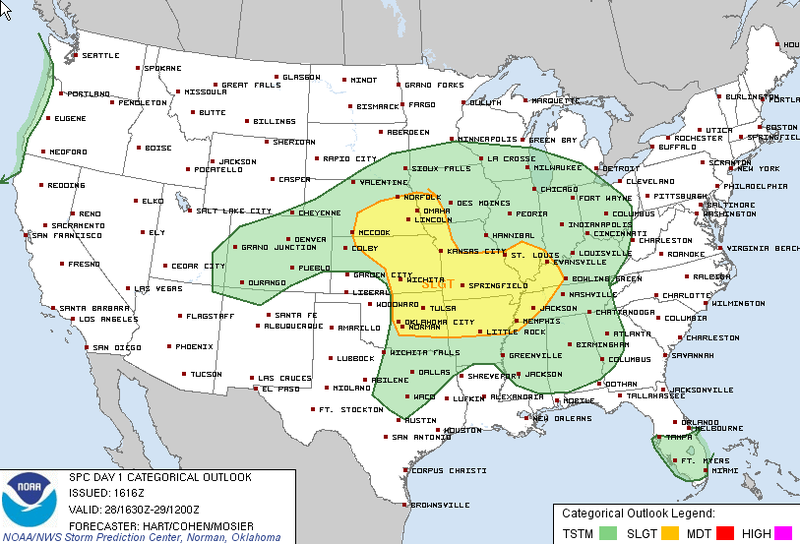 SPC indicates that we are just west of a 30% risk area tomorrow (see below), meaning the chance of severe weather within 25 miles is nearing 30%. Contributing to the higher risk is the timing - during peak daytime heating when temps should be in the mid 70s with a few dry hours leading up to the front. If rain continues throughout the morning, it may be a bit more difficult to get severe weather in the afternoon. 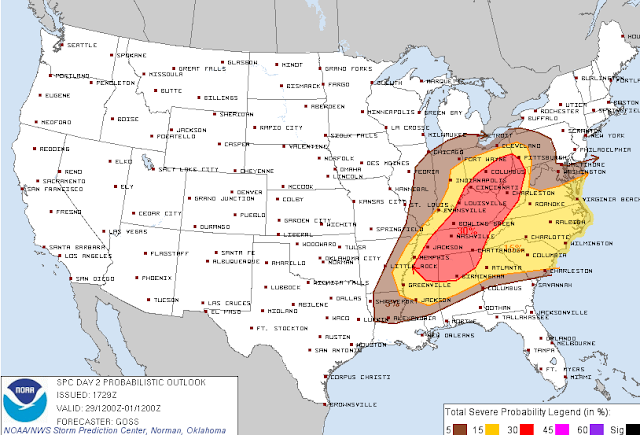 Probability of severe weather on Wednesday, as defined by SPC. Red is 30%. 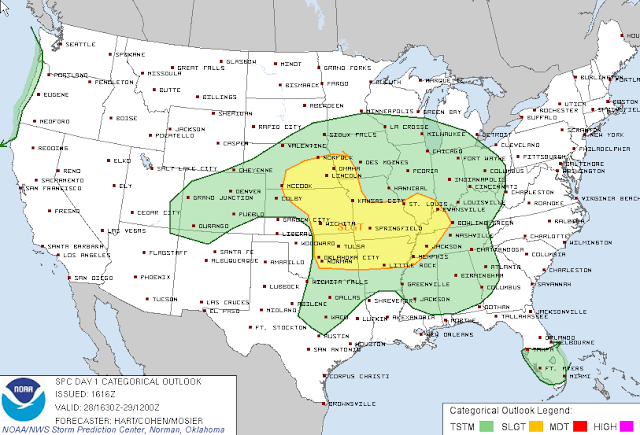 Yellow/red areas also in Slight Risk. 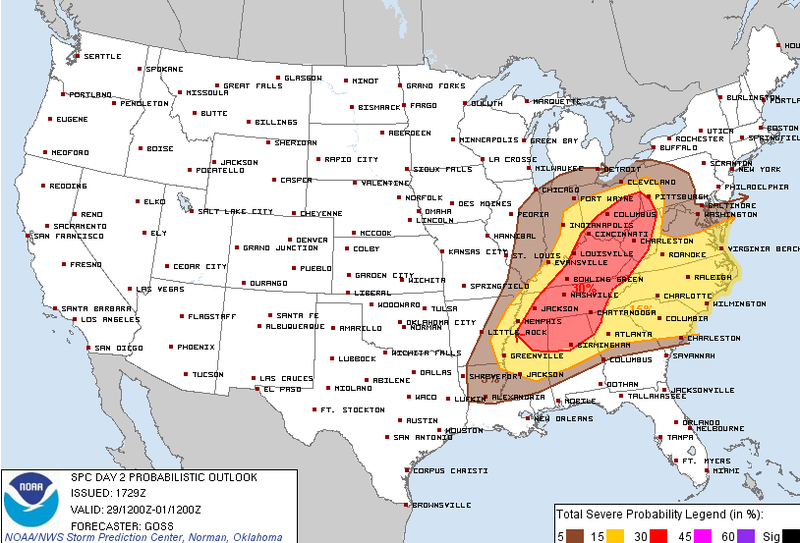 Once this threat has moved out, we'll focus more on Friday's weather event, but suffice it to say, the setup on Friday is definitely more favorable for severe weather and will bear watching closely. 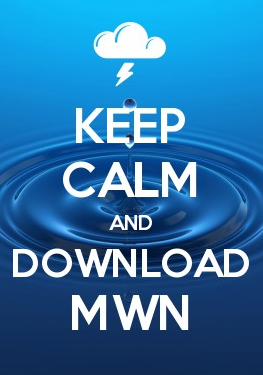 As you prepare for the possibility of severe weather in the upcoming 4 days or so, be sure to put MWN's StormWatch+ service in your "severe weather toolkit." Not only does it push severe weather alerts for your specific location to your smartphone, but it will wake you up at night if a watch or warning is issued! Just place it on your nightstand or dresser and leave the ringer on. An audio tone (that I have been told DOES wake you up!) will sound when an alert is issued. Remember: sirens are NOT designed to wake you at night, unless you live right under one. A personalized weather alert service is your best defense. Learn more about StormWatch+ and download it at StormWatchPlus.com.